Carpet stains can make you feel as bad as they look. Change all that with Carbona® 2 in 1 Oxy-Powered Carpet Cleaner. It has an oxy-powered formula and built-in brush applicator that gets right in to get stains right out. It’ll save your carpet…and your day. 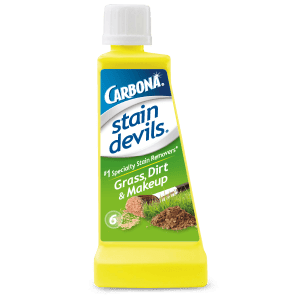 Can Carbona® 2 in 1 Oxy-Powered Carpet Cleaner be put into a steam cleaner? 2 in 1 Oxy-Powered Carpet Cleaner is for spot removal. It should not be put into a steam cleaner. Do I need to vacuum after using 2 in 1 Oxy-Powered Carpet Cleaner? Are there refills for 2 in 1 Oxy-Powered Carpet Cleaner? Is your product safe to use around children? Yes, however, you should always try to keep children away from treated area until dry. This product is the absolute best of it’s kind. 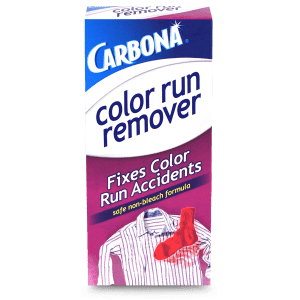 I have tried many products that claim they clean your rug, but nothing works like Carbona. I always have it on hand, I hate being without it, it’s a wonderful product. I have a new dog and we have had a few accidents, I tried several different products made just for dogs and NOTHING worked like this, you would never know there were any accidents. It also took away any smell. My problem now is finding it again in any of my stores. I am an individual with less than the greatest track record when it comes to making messes. My Fiancée is constantly on my case about spills and messes on the carpet, furniture, and on my clothes. I recently was in the store about a month and a half ago and decided to take a chance on your product (the 2 in 1 cleaner). I have never heard of your brand, but the product that I bought looked like what I needed from the brush on the front and what it said it could do. I just want to say that your product has saved me so many times! I appreciate that it is easy, fast, and efficient! Today, I brought home food and accidentally dropped the tomato based soup on the carpet. About 3 oz of tomato soup was on the floor with my Fiancée about 10 minutes from getting home. I quickly cleaned up the bulk and reached for your product. I shook it and applied and as soon as I began, the stain began to lift. I was so relieved. She arrive home shortly after and was none the wiser. I did tell her about it but she just shrugged because she could not see any issues. Thank you for creating a great product! Your carpet cleaner is awesome and I tell everyone about it!!! I just wanted to send a message to your company about the 2 in 1 cleaner with brush! It works amazing and the brush was such a smart idea! I love this product and thank you for making it! My carpet looks so good I didn’t think the mud spot would ever come up but wow!!! Carbona works wonderful I will be telling everyone about it. Hi, I have never sent any type message to a company about their product. I am so impressed with carbona 2in1. A product that does what it said it would do. My husband and I adopt old dogs so they will not be put to sleep. They have accidents and your product with no trouble takes the stain out. I love the brush right on the bottle. When I was back at the store I got another one. Just wanted to tell you I love this product and tell everyone to buy it. Thank you. WOW! I can’t believe it’s gone. NO smell and NO stain. AT. ALL. Incredible. Simply incredible. Thank you. Hello! I just wanted to take a moment and express how WONDERFUL your carpet cleaner is!! I have 6 year old twins and a great dane. My carpets look like they are 20 years old. I have used just about every carpet cleaner on the market. 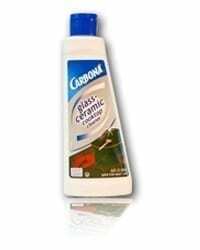 Carbona is the BEST! My carpets look new brand new!! My son actually had sticky candy on the carpet in his room and I have tried everything to get it up with no success. But Carbona got it right up, I was totally amazed!! I will never use other product!! Thank you!!! I am so amazed with your product!!! I really wish I would have taken before/after pictures when using your product!!! Thank you so much for distributing this and I will continue to purchase this as it is the only product that does an AMAZING job!!! Your product has truley impressed me! I thought for sure I was going to need to get the pros to clean my carpet, but decided to give it one more try. Picked up Carbona because of its great price & the brush made it look easy to use (and it was!). My carpet had ALL KINDS OF STAINS from my 4 kids (4-15), mechanic husband, & 6 dogs! It cleaned up grease, grape jelly, pet accidents & many mystery stains with ease! I went out and bought 3 bottles so I can do the WHOLE house! coupons available for future purchases? I usually write companies to complain; however, I must tell you I love your product Carbona. 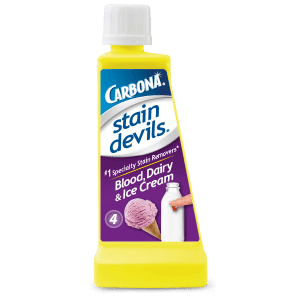 I was so pleasantly surprised how great it worked on the stains on my daughters carpet. I haven’t looked at the whole site but am hoping you make a cleaner for steam cleaners. That would be awesome, as I know it would clean the carpets easily. The fact that it is biodegradable is another plus. I am glad I had a coupon for it as that really was the only reason I purchased your product. Again Thank You. No complaint here! Just wanted to let you know I send my hubby after Carbona for my carpet cleaning. Just as I was about to call him to have him pick up a bottle it hit me, wouldn’t it be great to have a coupon. It works the best for me and leaves a lingering clean scent. If you would, please add me to your mailing/email list for new products, promotions, and coupons. We love coupons! Thanks for listening. Sincerely, Rachel D.
I just want to tell you that this is the absolute best product I have ever found for cleaning carpet stains. I have a senior (15-year-old) long haired cat who gets hairball and throws up occasionally. 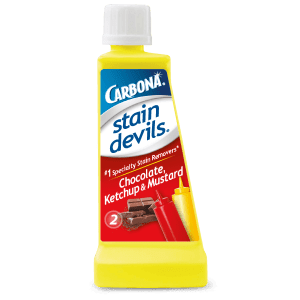 Every other carpet cleaner I’ve tried cannot remove the orange colored food stain from our beige carpet, but Carbona does it perfectly! Thank you for making a product that actually does what it promises. I love your carpet cleaner! It is the only way to clean my stairs. My husband spilled a glass of red wine on our beige carpet. I used your 2in1 Oxy-Powered Carpet Cleaner and amazingly it all came out. OUTSTANDING! I wish I could give this 10 stars! We had a 2-month-old stain from cat puke that included dyes from the kitty’s dry food. Tried Simple Green, Resolve, and some other commercial cleaner, but nothing worked. My husband was going to try gasoline (!!! ), but I said Let’s wait as my sister had told me about Carbona. Received my order yesterday and tried it immediately. Carpet’s dry today and the stain is totally gone. What’s more, there’s A LOT of cleaner in each bottle, so you really get your money’s worth. I was very impressed with this product! Definitely will buy again! I foster dogs and they are usually not house trained when they arrive here. This product is great when removing urine stains. Once and done. This stuff works when nothing else has in removing all sorts of pet stains from mud to the unthinkable. I had a few dry pet stains and it washed it away like it never happened thanks for everthing!!!! I love love this product. We have a dog and two cats plus grandchildren who visit frequently. We have light beige carpet (it was here when we moved in). This product totally removes every kind of pet stain imaginable! My problem is I have problems finding stores that carry it. 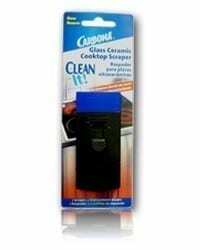 Could I save money/shipping cost by buying Carbona carpet cleaner by the case? It is a fantastic product.